Slip into perfect comfort with the Dansko Wil clog. 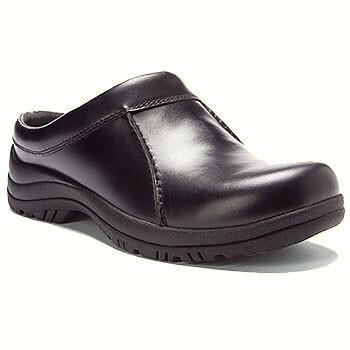 This men's casual slip-on shoe is crafted from smooth, waterproof leather and has a lightly padded collar for comfort. The polyurethane midsole and removable EVA insole cushion every step, while the tuckboard and riveted shank provide added support. The Dansko Wil slip-on shoe is finished with a slip-resistant Nitrol rubber sole to keep your footing secure on a range of surfaces. This was a gift for my boyfriend for Christmas and had to be returned twice for size. Dodd's was absolutely wonderful to deal with.